There are many ways to connect! Visit your class page. Find old friends in our alumni directory. Follow #alwaysalogger on social media. Join (or help lead!) one of our regional clubs. Feeling inspired to help create connections? Once a Logger, Always a Logger! If you’re a Logger, you share a story, a spirit, with the tens of thousands of Loggers around the world. Below are some of the many ways you can tap into our alumni community, a second home for Loggers and an ongoing source of inspiration! Connect with Loggers in your city! Fellow alumni are organizing happy hours, networking events, and other outings across the country. Visit our Attend Events page, or click on the icons below to be directed to your region’s Facebook Page, where you'll find more information about upcoming events, and see photos from past gatherings. If you don't see your city, but are interested in getting involved, contact Samantha Gordon, Alumni & Parent Relations Assistant Director, at smgordon@pugetsound.edu. Alumni gain access to new Alumni Email accounts approximately six months after their degree date. This new email feature is more than a forwarding address; it is an actual email inbox offered by Microsoft Office 365. In addition to email, this new service offers the ability to create alumni-to-alumni groups and many more exciting features. If you graduated in (or prior to) May 2015 and would like to sign up for an Alumni Email account, please fill out the Alumni Email Request form. Having trouble with your account? 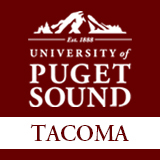 Visit our FAQ page or contact us at alumoffice@pugetsound.edu or by phone at (253) 879-3245. Alumni can update their information directly in the university's alumni database. The Alumni Directory continues to be an opt-out system accessible only by fellow Loggers. You can share as much or as little information as you choose. For more information on our transition to the new Alumni Directory, please visit our FAQ page. The Alumni Sharing Knowledge (ASK) Network is a community of Puget Sound graduates who have volunteered to share information and advice with students and alumni about career paths, postgraduate studies, and transitioning to life after Puget Sound. Join the ASK Network on LinkedIn to learn from other Loggers and share your own valuable experiences.